Back in 2013, when Adobe introduced their “Photography Program” - Lightroom and Photoshop for AU$9.99 a month - it seemed like a reasonable deal, especially compared to the highly inflated prices that Adobe had previously charged for Photoshop in NZ. At the time, one wondered how long those prices would last. The answer, it seems, was three years; in 2016 the price went up to AU$13.79 and now, in 2017, it has risen again to AU$14.94. And so, once again, it was time to look for an alternative to Lightroom and Photoshop that would address all my photographic processing needs. A Google search suggested ACDSee Ultimate 10. What? Surely not. Not that picture indexing, format converting, lightweight editing tool that I remembered from the early 2000s? How on earth could that replace Lightroom and Photoshop? But I had to look and, amazingly, found something beyond my wildest dreams. ACDSee U10, manages photos much like Lightroom, it developes RAW files much like lightroom and it edits photos much like Photoshop - and it does it all in one application. I had some specific requirements that ACDSee had to meet. It has to support the RAW formats from all my cameras (past and present) - Nikon, Sony, Canon - which it did. It had to support my workflows for photography and especially infrared photography - which it did. And it had to support the Topaz, Photoshop filter plugins, which are an integral part of my workflow - it did that too. There were two areas where I was worried at first - ACDSee’s lack of support for merging either panoramic photos or HDR photos. Both of these functions are standard in Lightroom and Photoshop and, although I rarely use HDR these days (modern camera sensors are just too good) the missing components were close to being a deal breaker. However, I have copies of both Microsoft’s ICE (free) for panoramas and Photomatix (paid) for HDR - both of these programs can be installed in ACDSee as ‘external editors’ and the handoff of files between ACDSee and these programs is seamless - making the process just as simple as in Lightroom or Photoshop. Issue avoided. The tools available in ACDSee Ultimate 10 are not direct one-to-one replacements for those in Lightroom and Photoshop; U10 is clearly not a clone of the Adobe products. Having said that, I found that my knowledge of Lightroom and Photoshop allowed me to navigate ACDSee U10 fairly easily and come up to speed within a day or two, helped by ACDSee’s excellent introductory and tutorial videos. But, the key to ACDSee’s utility does not lie in any functional equivalence to Lightroom and Photoshop - the key question for me is, ‘can I produce equivalent results’ and the answer here is decidedly, ‘yes’. In fact, in some areas, like infrared, I found myself producing better quality results more easily than with the Adobe products. I am, quite frankly amazed by ACDSee U10. Previously, when I have looked for alternatives to Adobe’s expensive products, I have only been able to find alternatives which had severe limitations either in functionality, usability or reliability. So far I have found nothing in ACDSee which has posed any significant issue. I am producing the work I have always produced just as easily, possibly easier, and at a much lower cost. Seven months of Adobe subscriptions will see ACDSee fully paid for (perpetual license) or ACDSee also offer a subscription plan for those that are interested at about 60% the cost of the Adobe subscription. 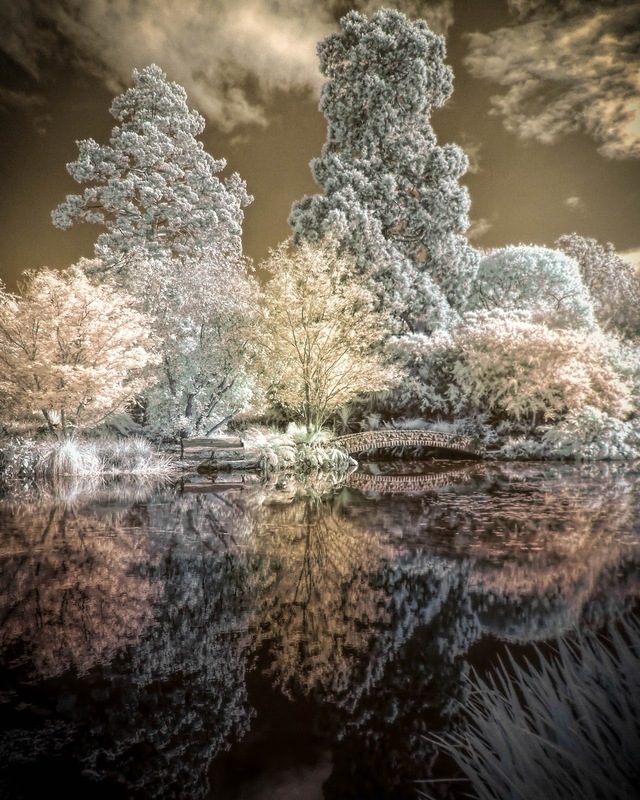 Christchurch Botanic Gardens 720nm infrared processed in ACDSee Ultimate 10 and Topaz. With regards to editing images, persons can utilize an assortment of available software or applications. Photoshop is the best photo editor, which permits people to make a variety of cool photograph impacts. George, whether Photoshop is "the best photo editor", as you say, is really a mute point. The question each of us has to answer for ourselves is. "what is the best photo editor FOR ME". After using Photoshop and Lightroom for several years, Adobe just wasn't cutting it anymore and I moved on. I am now more pleased than ever that I did.